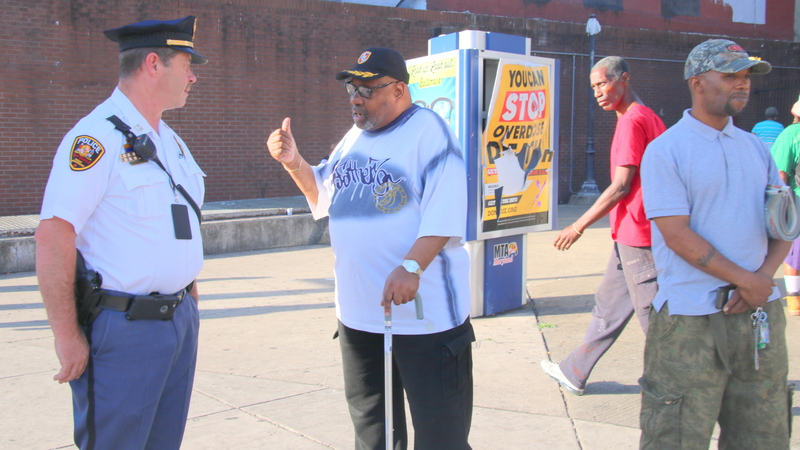 On Day Three of the BaltimoreLink bus system, passengers had multiple questions and strong – occasionally opposing – opinions at one of the city’s busiest transit hubs. “The governor snatched the money away from the Red Line and gave us this?” said Jerry Sykes, complaining this morning that the public was not properly informed about redesigned transit routes and confused by bus stops that had disappeared over the weekend. “They should tie that [Gov. Larry] Hogan to the back of a bus and let him see what this is like for people,” Sykes said, while standing at the intersection of Pennsylvania and North avenues. William Warner, who had been listening, begged to differ. “He’s saying he was not informed? They’ve been talking about this [change] for like a thousand years,” said Warner, who said he’s been using city buses all his life. Standing with the debaters was Capt. Robert Rosendale of the Maryland Transit Administration Police, positioned to help transit users through the transition. 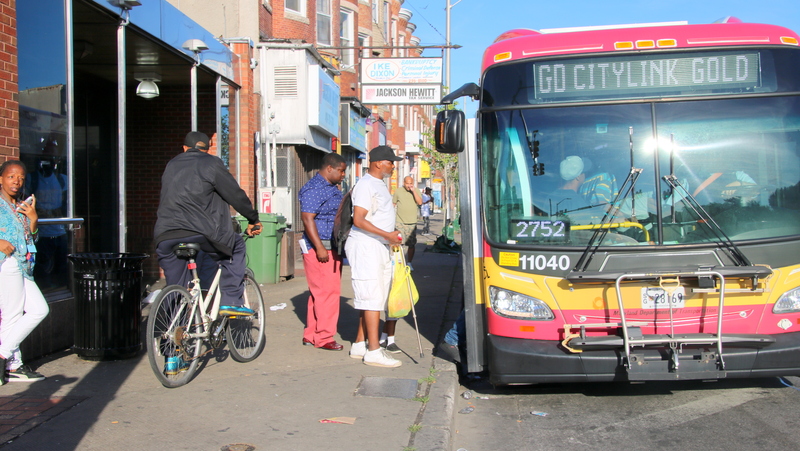 The $135 million bus system overhaul by the State of Maryland, which runs the bus, subway and light rail service for Baltimore and the region, has been controversial. Undertaken in the wake of Gov. Hogan’s 2015 cancellation of the Red Line, the redesign has been criticized by some as a poor substitute for the planned east-west light rail line. Among the critics is the Central Maryland Transportation Alliance, which recently called on the MTA to release performance data to allow the public to evaluate Link. Designed to replace longer under-used routes with shorter, high-frequency lines, the system is intended to be more efficient. The immediate effect, however, has been more transfers and some unhappy customers. For Patrick Lennon, 53, the multiple transfers just made getting to his job at a downtown hospital from his home in Woodlawn that much more complicated. Also rushing to make connections was Molly Christina, a Penn-North resident trying to get to a state government job in Towson. For Mabel White, the new system is working just as it was intended. 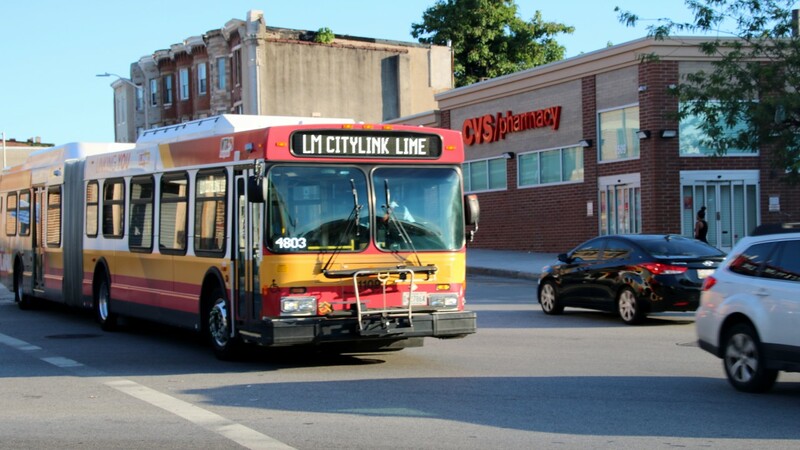 Commuting from West Baltimore to an office on Loch Raven Boulevard in Towson, White relies on CityLink Gold, formerly the notoriously late and crowded #13. White based these judgments on her experience Monday, the first workday under Link, and on the MTA’s online tool to compares rider’s pre- and post-Link commutes. “I just put the address of my work in, and it told me how to do it,” she said. 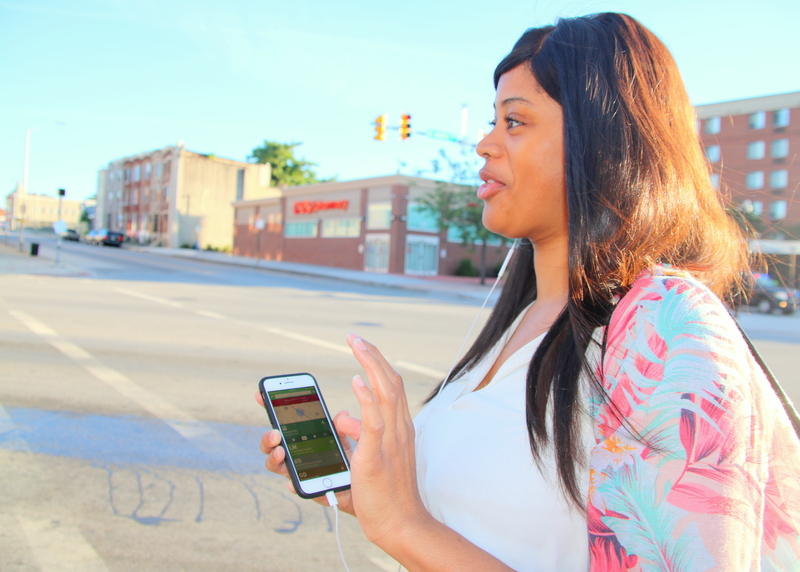 White, who uses TransitApp, was looking down as she spoke, following her bus’ progress along North Avenue in real time.